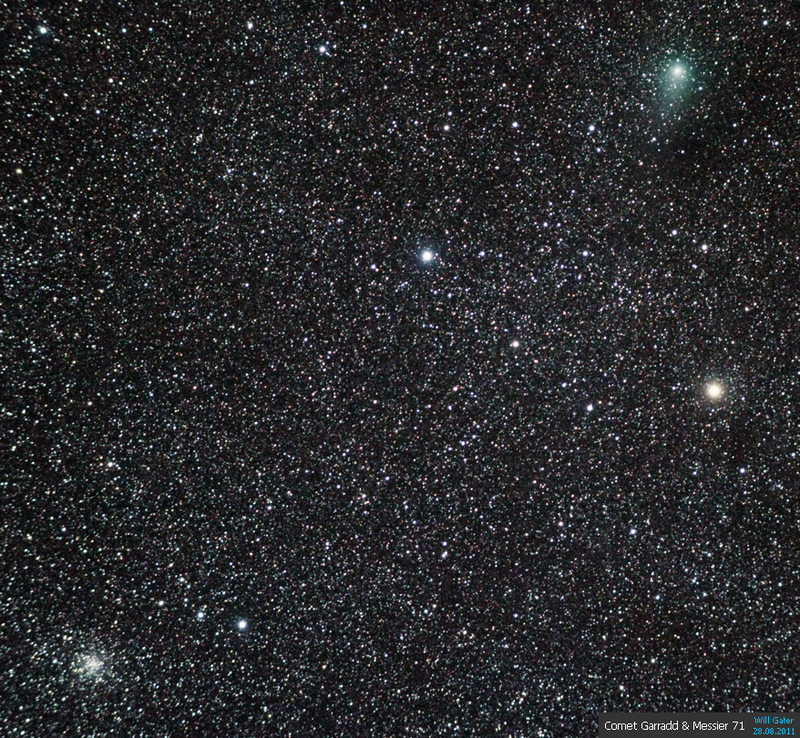 Comet Garradd is currently putting on a great show as it tracks across the night sky. In the past few weeks it has passed by several deep sky objects including the globular clusters M15 and M71. I captured the above image last weekend as the comet (top right) was moving away from M71 (bottom left). It’s certainly worth looking out for this comet if you have a small telescope. 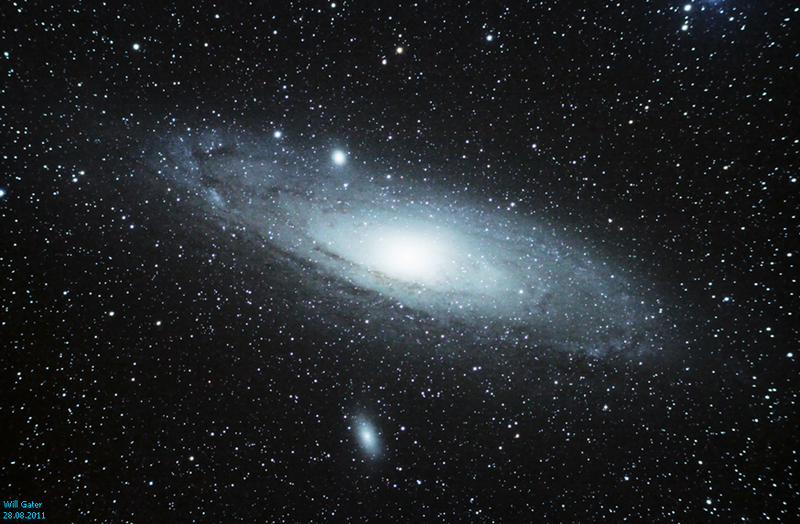 I could see it with ease through a 66mm refractor; admittedly from an observing site, on Dartmoor, with nice dark skies. The image above shows much more detail than the eye sees though, as it is composed of five minutes worth of exposures. By the time I’d finished enjoying Garradd & M71 — in the same field of view — the Andromeda Galaxy had risen higher in the sky and I couldn’t resist capturing this image of it below. If you want to track down Comet Garradd yourself you’ll find a finder chart here. Happy comet hunting!